One of the national park road from a look out point. Lauren and I had an awesome wedding (pics on their way!) but after the wedding we went on our little adventure. For the first time the US government let me play ambassador to the tiny Island of Jamaica, or anywhere really. Some of the pictures are from the resort but what Laur and I found the most compelling was the scenes from the bus ride to and from Sandals Negril. Take a look! Weddings were almost 2 per day here! Some people claim money can bring you happiness. They never met him. We dont think he was selling the lobster but just being a photo op! Either way these guys were all over! Lauren can and will name every animal she encounters that she deems cute. I think this one was Pistacio or soemthing. One of the fire pit areas on the beach! A bit of the bottom level of our place. Laur stares out the window. Driving on the left side of the road takes some getting used to, but for queen and country, right 007? Just out the window to the van we got to see things like this. Jamaica has a KFC with in walking distance from the airport. Funny enough when i ask our sailing instructor, Wade, what his favorite food was, he said it was Subway or KFC. It was Saturday when we flew in so I take it this is just the weekend activities for them. … and then there was Andy. Just we got out of the airport, Laur is treating her self to a RedStripe. 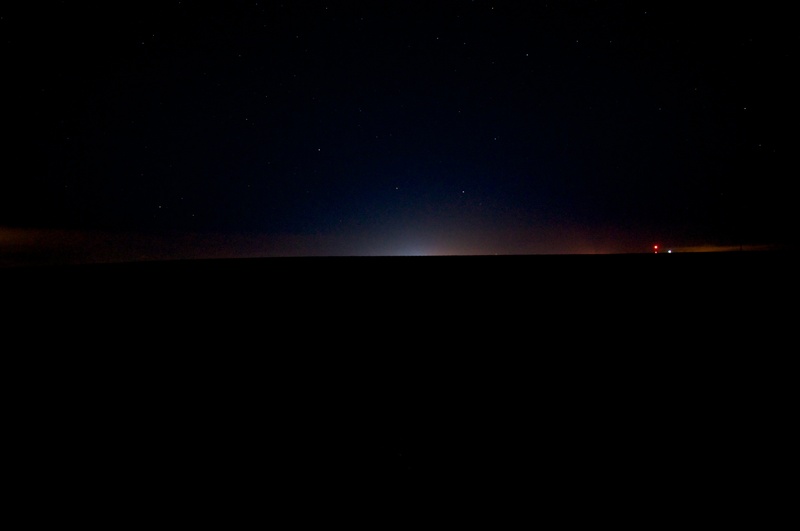 A distant glow from a distant place. It is hard to believe that two and a half years of selling ads for the most premere nursing home trade magazine has just ended Thursday this week. Men and women take these hits everyday and blowing off steam in a transition time requires big moves. I for one threw around the idea of traveling during this time. I made this decision on Monday this week and thought it had a 80% chance of falling through. Here I am now, writing this blog from St. Louis, Missouri on the first leg of my photo tour around New Orleans, more specifically Venice, Louisiana. 2. It was completely destroyed during Katrina, hit incredibly hard by the oil spill and I would like to shoot their progress so far in the recovery- they may be all done by now. I hope that throughout my trip I will stop and take many pictures of fantastic things, but if all I get is a couple of road shots, then I still can say that I kept to my word and did what I said I was gonna do. This shot above was taken just off I-55 with a slow shutter. Its the eastern glow of what I guess is Chicago in the night sky. More to come…. It’s been many months since we last spoke and yet in my mind we have been together constantly. There is a lot of talk from the Ol’ General that we may see some more action in the next couple of days. The Zombies are strong bastards but we are stronger. Our cause is just and our resolve is really, really strong. Danny Joe lost his leg to a zombie bite. I had to shoot him in the head. Tell Teresa that Jimmy wont make it for Christmas ‘cuz he found a new girl. She’s a zombie named Midge, and he says she “loves him right.” We all agree, she can cook a mean Beefaroni and she has some good off-color jokes that make us happy. Just know that when I look up to the sky I see clouds as gray as the gray area of Jimmy’s zombie relationship. But through it, I see stars, the same you see. They twinkle at me, as if to send me simple messages: “your fly is down” or “eat your veggies,” and they remind me of our love. I wish you could be here, but the truth is, you’re a woman and capable of such little feats. You would really just hold us back. PS: Just shot Midge. Jimmy’s not happy. I thought she was attacking me but she actually really wanted me to try some gum and was just trying to put it in my mouth for me.